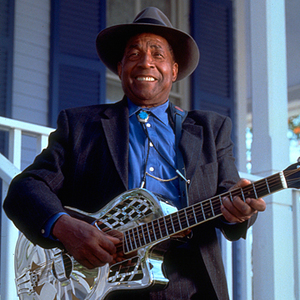 At least two artists share this name: 1) Piedmont blues guitarist and gravedigger of Rappahannock County, VA, USA. (1924-2002) For much of his life, John Jackson played for country house parties in Virginia, or around the house for his own amusement. Then in the '60s he encountered the folk revival, becoming the Washington, D.C. area's best-loved blues artist. Undoubtedly one of the finest of traditional Piedmont guitarists, Jackson exemplified the songster tradition at its best. For much of his life, John Jackson played for country house parties in Virginia, or around the house for his own amusement. Then in the '60s he encountered the folk revival, becoming the Washington, D.C. area's best-loved blues artist. Undoubtedly one of the finest of traditional Piedmont guitarists, Jackson exemplified the songster tradition at its best. His eclectic repertoire embraced the music of his guitar heroes Willie Walker (who once visited his father's house), Blind Boy Fuller, and -- most notably -- Blind Blake. Besides the blues, rags, and dance tunes associated with these masters, Jackson played ballads, country songs, and what he termed "old folk songs," such as "The Midnight Special." His confident fingerpicking, down-home Virginia accent, and contagious good humor marked his performances, live or on record, as something special. A world-class storyteller and party-thrower as well as a National Heritage Award-winning musician, Jackson recorded a half-dozen albums and toured the world as often as he wanted to. He died of liver cancer on January 20, 2002.